Monique Gray Smith is a mixed heritage woman of Cree, Lakota, and Scottish descent and is the proud Mom of twelve year old twins. She is an award winning author, international speaker and sought after consultant. Her career has focused on fostering paradigm shifts that emphasize the strength and resiliency of the First Peoples in Canada. She is well known for her storytelling, spirit of generosity and focus on resilience. 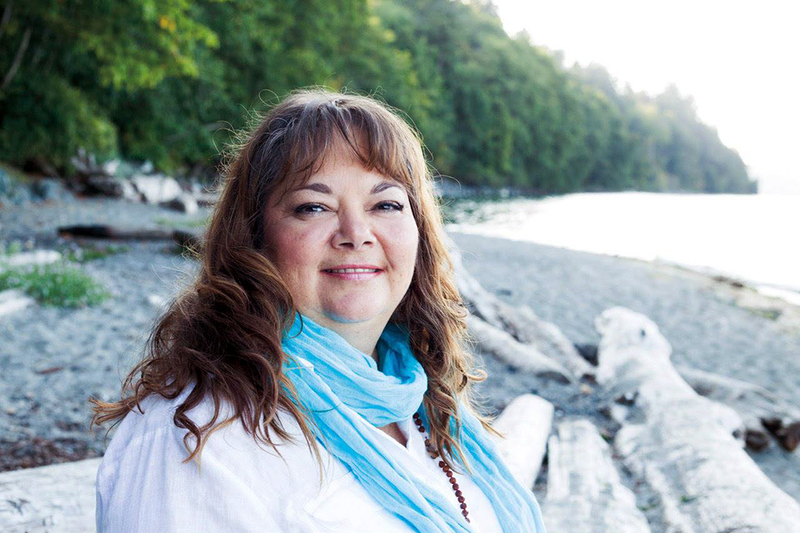 Monique has been sober and involved in her healing journey for over 23 years. In 1992, Monique was a year and half sober and a client in an Indigenous treatment centre when she received her traditional name in a Lakota ceremony called Yuweepi. The name she was gifted is Mistikwaskihkos, which when translated from the Cree language to English means Little Drum. When the Medicine Man gave her this name, she told me that the name goes back nine generations on her father’s side and seven generations on her mother’s side. He also explained that Monique was given the name Little Drum because one of the gifts she’s been blessed with is the ability to remind people of their heartbeats. The first sound we hear as babies in utero is the heartbeat of our mother, which is the same as the double beat of a traditional Native drum.